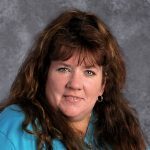 Mrs. Mary LoBosco has been teaching physical education at Divine Wisdom Catholic Academy for the past 6 years. Before coming to Divine Wisdom Mrs. LoBosco taught in Public School for 13 years. She also taught a Special Needs class at Scared Heart in Bayside. She coaches soccer and volleyball teams in her spare time. Mrs. LoBosco loves coming up with new themes for field day. From the Olympic Games to Star Wars she has enjoyed watching students participate in the different challenges and sport games that were based on these themes. Can’t wait to see what she comes up with this year!